What is Geofencing and how it can help you grow your small business? In the recent times there has been a 61.5% increase in the paid social media spend and that has resulted in the customers being bombarded with a huge range of promotional messages from marketers. It is for this reason that the click-through rate (CTR) today is only hovering at a mere 0.5% across all the formats and placements of ads. This is where geofencing can come to the rescue of a small business like yours. Geofencing essentially is the concept of putting up a virtual fence around a pre-defined geographical area with the intent to promote a business. This is a competitive world, to say the least and it has become very important for modern day businesses to become creative and figure out new ways to grab the customers’ attention and to keep them engaged. Geofencing is one of the more unique ideas that empower businesses to provide a variety of content to a device user on the basis of their geographical location in real-time. When we say device, we include all kinds right from a desktop computer, to a mobile phone, or even a smartwatch! In the recent past, the use of this technology has been growing manifold across many industry verticals. Geofencing finds application today in social media, human resources, telematics, cyber-security, and marketing. According to the configuration of the device, this new age technology can trigger push notifications on mobile devices, showcase targeted ads on social media, send out text messages, and offer to you location-based marketing data. Geofencing lets the businesses access the location of the device owners and when they are in a particular area, send them a message. A geofence includes triggers or actions that take place whenever a customer goes in or out of the specified or geofenced area. According to a recent research 64% of the American adult population owns a smartphone and among the young adults the percentage is even higher – 85%! It is this market penetration of the modern age smartphone that has raised geofencing as an ideal and popular local advertising tactic among the others. Geofencing technology lets you draw a virtual perimeter and demarcate a real-life geographic place. This geographic fencing or geofencing can be custom drawn so that it is built around the surroundings or within a fixed perimeter or circumference of your place of business. Once this perimeter has been set up and secured, anyone who has your app and has granted you the permission for accessing their location can be tracked using location-services within this area earmarked for your geofencing campaign. This means that whenever such a person enters or exits this area, an alert would be triggered and your SMS, push notification, or any other kind of message would be sent out to them on their device. How to get the most out of geofencing? Now, we need to understand the kind of market a smartphone has opened up for us. Like we mentioned earlier, a recent research established that 64% of the adult American population is using a smartphone and 85% of young adults own a smartphone. It is this huge adoption of smartphones that has compelled every industry vertical to sit up and take notice of this evolving world of mobile technology. As a DIY app building platform that has always offered some of the most cutting-edge technologies to their clients, we have observed and emulated some really effective ways to get the most out of geofencing. So, let’s get right to it! The targeted market and the recipient or the audience of your marketing efforts are usually quite well defined, however, when it comes to the execution bit, it is tough to be certain about the kind of people who would actually be exposed to the material you send out. In case of geofencing, the fun part is that the marketing efforts can be defined to reach a highly precise audience. This means if I own a restaurant on the pier and I want to let people know about the latest addition to my menu, I would be sending out a broadcast to everyone who is in the 15-mile radius and then geofence the exact area where I would want people to think about my restaurant! Now, it is natural to be tempted by the number of people you want to reach out to, through your brand new geofencing campaign, but it is important to remember that geofencing is most effective when you go hyperlocal with it. This means that if I have a salon on the square, I would do well to reach people who are currently within a five-minute drive radius. It is unrealistic to expect people to drive down or walk down from anything more than that! Whenever you are launching a new product, a service, a portal, an app, or even a campaign, we cannot stress enough on the importance of A/B testing. Geofencing is no different from any other ad campaign in this regard. You can test multiple types of content in order to see which works the best. This testing can be carried out for the copy in the ad, the colors used, and the kind of deal or coupon that you are using or putting out on the ad. Hence, if you have a pub, happy hours might draw in more people than a free round of peanuts! Apart from testing all these factors out, test different locations as well. Like any other ad campaign, it is the target audience that is of the greatest importance and of a critical value. In geofencing ad campaigns, you have the ability to filter the targeted audience on the basis of demographics and interests so that you can reach the audience best suited for your business. So, let’s say that I have a retail store, it would do me well to target the VIP or premium card holders or people who visit my competitors in the area. For any marketing campaign to be successful it is important that you are aware of the kind of customers you are planning the campaign for. Geofencing can actually help you get a better understanding of the audience that you are targeting. It is a location-based technology that can bring in a whole lot of data about the consumers, which you can further make use of, to enhance your understanding of your users’ behavior. This location-based technology can offer you a perspective and an opportunity to study the behavior of your customers or prospective customers. You can track a number of metrics like the number of times they have been to your stores or the frequency of their visits (once a week, once a month, etc.) or even the kind of places they go to before stopping by at your store. Any content that you want to send out to the consumers would only work if it holds relevance, value, and meaning for the customers. The customers today are getting a barrage of messages that are being thrown at them every minute. It is only natural that they might miss out on the pertinent information. This means that if you own a beauty salon, then offering a special deal around days like Valentine’s Day or New Year’s Eve would bring in a good response. A well-timed holiday ad can help customers find something that they were actually looking for – your deal! Of all the different types listed here, this one is the most popular technique. The use of geofencing in display advertising is being used most commonly by the big names. Here you integrate particular IP addresses or specific mobile locations into your ad campaigns. This would allow native ads to be released in a controlled manner, to people based on their specific, real-time location, hence letting you target them better. It is possible to set up geofences that can directly communicate with a device on the basis of its location. Once the mobile device owner gives their permission, the marketer can then send an SMS or a push notification via their mobile app. This message could be a marketing message or general alerts for activities including deliveries or pickups like in case of e-retailers or food delivery services. In the context of video and audio serving technologies, location can in fact be used to trigger any relevant content on the basis of the IP address from the device or the location feature of the mobile application on the device. The radio industry is already making good use of geofencing technology and the creativity of the media industry is being put to good use in delivering relevant content using geofencing. Everyone is on the social network these days and they are there for more than just socializing or networking. People are referring to social media to stay up to date with the current events, to find services they need and even for recommendations. Social media ads that make use of geofencing, use the location information in order to display suitable social media ads to the appropriate audience. This comes in particularly handy for platforms like Twitter in particular where 80% of the users are interacting with the platform through their mobiles. While it is possible to implement geofencing on your own for your business, you would have to have strong technical expertise for its implementation. A better idea though is to look into companies that offer Geofencing services for business. However, one of the easiest ways to get this done is going to our DIY app building platform and simply drag and drop the geo push notifications in your app and you would be done! In today’s scenario smartphones have become an integral part of our lives and they never seem to leave our side. This is simply because it makes our lives more convenient and present a prompt and efficient solution to every problem or issue that might come up. But, in addition to this, we have got to acknowledge the fact that the phones have started acting as beacons as well. This means that unique processes and features like geofencing can be leveraged by different companies to get all the location-based data which can then be sorted into meaningful insights on their targeted users. In order to make policy decisions and implement marketing plans, it is important that we understand the real-world behavior of the consumers to engage the customers in a timely, relevant manner. Geofencing lets the businesses demarcate specific zones to collect user data, which involves dropping points on a map to create a shape, preferably a closed geometric shape like a rectangle, circle, or any polygon. This process makes sure that the company receives information on any user who enters the demarcated area, even if it is just the information about his entry in the geofenced or demarcated area. This collection of location-based data business might seem like an invasion of privacy, but the whole process has only been developed under the purview and in accordance with the latest privacy laws. 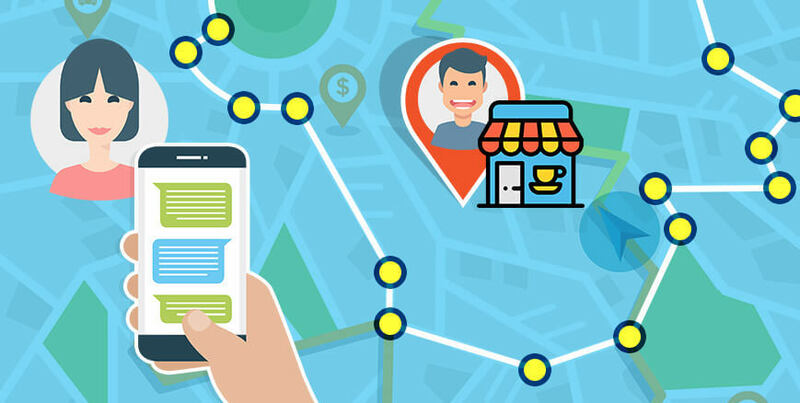 Geofencing or any other location-based data collection has the potential to become one of the most powerful tools for companies of any size, but the small businesses in particular can gain a lot from the technology. Geofencing is a technology that brings together device-level IP address interaction with GPS data and cellular network data. Each of our device has its own device address, and when a device interacts with a number of other routers or hardline connections, the device address is then registered at that particular IP address and vice versa. This process in combination with the cellular devices pinging the cellphone towers at the interval of a few minutes would let the data specialists locate a device and eventually the user or a consumer for your business. With this technology, location-based services can be used to track the entry and exit of any user in the geographic area that has been set for the geofencing campaign, which in turn would trigger the alert or the advertisement or offer from you as a business or as a company to the device of the user. Now that you know fairly well how this technology works, it is time you explored all the benefits of using this technology for your business. A technology like geofencing and the allied features can bring with them a host of benefits and advantages for you, but the first step to boost up your business lies in acknowledging the benefits of the technology right at the start, and then finding the right application for your business. It has been established in the precious little time that geofencing technology has been around. Let us try and illustrate it with the example of a takeout or a food delivery business. A business like this would have a good number of drivers moving around in their own areas that have been assigned to them. Once you have activated geofencing for these areas for their corresponding drivers you would be notified whenever the drivers or the delivery boys leave their designated areas. Not only would the employees become accountable but would also ensure that they are not whiling away their time elsewhere. This means that you are aware whether your employees are justifying their payroll thus saving you both, time and money. This can be explained best when we use the example of a pizza joint. This means that your existing customers who have already installed your app on their smartphone or any other mobile device that they carry around would receive a push notification, whenever they are in the general area that the pizza joint has geofenced. This, in fact can be adapted to or translated for any kind of business, but food industry in particular can benefit greatly from it. The café, pizza joint, or the diner can send out the geofenced push notifications right around the time of breakfast, lunch, or dinner, so that more customers are reminded of their proximity to the eatery and be tempted to make a stop. This can also be used in the non-peak hours like mid-morning or late afternoon where the push notification can offer the passersby a special deal for their favorite cup of coffee and a bite to go with it! However, it is important that you limit the number of push notifications you plan to send out to your passersby. If someone is walking through or driving through the geofenced area everyday on their way to and from work, you can’t possibly be asking them to step into your place of business everyday and the users might find it annoying to be notified every day. Now, we do not want our current customers to be annoyed by us or be frustrated. This can lead to them ignoring your notifications, switching them off, or even worse – uninstalling your app. There would always be some people who have downloaded your app, but haven’t stepped into, let’s say your diner. Though they might have been walking right through the locality where your business exists but might never have thought of stepping into your establishment. This means that though they are interested in your services, they haven’t yet spent any money on your services. With geofenced notifications, you have in your hands a chance to gently remind this set of users that your business has something to offer them. Let’s say your company is sponsoring the local children’s theater, you can then send out notifications to all those app users who pass by the theater, mentioning your contribution and even offer them a cool deal. While it is important that you do not overdo the notifications thing and make the whole experience more of a hassle for everyone, there are ways where you can make the app users look forward to your notifications. Yes! This can happen, especially when you are delivering some kind of a value in the notification. It has been established through research that the chances of shoppers coming back to shop with you are higher when you offer them some kind of value through coupons and in fact more than half of the respondents even said that they would not even have made the first purchase if they did not have the coupon. Personalization is the key to every business’s success and can reap in many rewards for you. When it comes to geofencing, there are big opportunities to personalize the customer experience. This means that whenever your app user enters the area that you have geofenced for your business, the app must open to the user’s profile. Let us take the example of an eatery, yet again. If you have a local diner, it is imperative that you do not send out the same content and same notification to each of the users. You would not want a 20-year-old guy to receive a notification about low calorie food or food that is diabetes friendly. Such standardized, one size fits all kind of notifications would be completely irrelevant and offer no particular value to the app user – your customer. This means that the users would find these notifications and hence your app or your business annoying. Geofencing is one of the most revolutionary technologies that has changed the face of modern day marketing. Geofencing makes use of global positioning system or radio frequency identification to outline a geographic boundary. After establishing this “virtual barrier” a trigger can be set up to shoot out a text message, email alert, or a push notification in the app, whenever a mobile device enters or leaves this ‘outlined’ geographic area. Geofencing has proven to be a great technique to engage or interact with the customers on the basis of their hyper-local positioning. 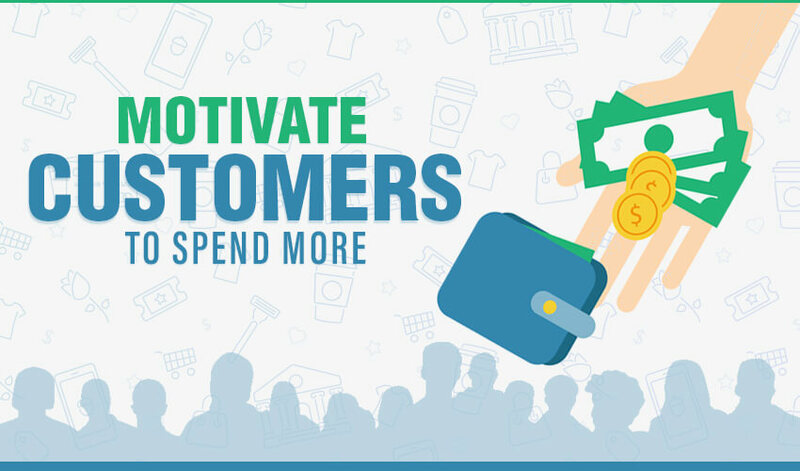 This can not only be great for bringing in a quick and immediate boost in the sales but also help you understand the mindset of the shoppers. Companies have been making use of geofencing for some time now and this has proven to be quite an effective way to send to the customers offers or targeted promotions the moment they trigger a search in a certain geographical location, enter certain premises like a mall, a store, or a particular block area. It is after all the customers who are at the center of your business. Hence, it’s a step in the right direction to deliver high-quality service through geofencing. Recent studies indicate that even a 5% increase in customer retention can lead to a 25% to 95% increase in the profit. Now isn’t that something you need to sit up and take note of? However, keeping your customer engaged and retaining them for a longer time is not easy. 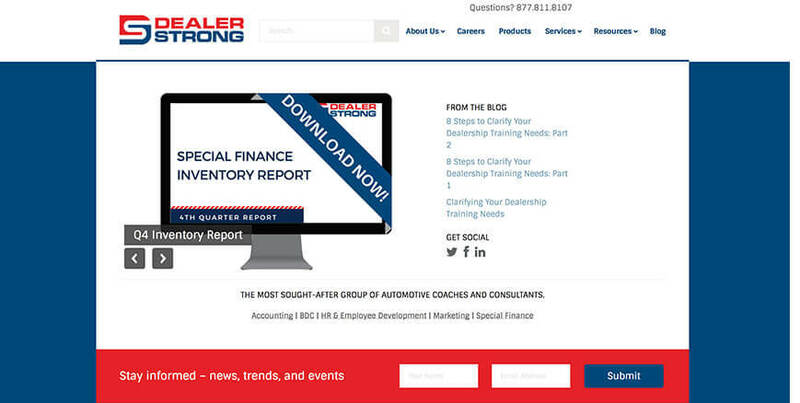 It is important that you develop a strong understanding of ways to interact with potential leads while making sure that you do so in a personalized manner. Integrating geofencing into your marketing campaign can yield amazingly consistent results and transform almost every facet of your business. Like every other technology on the block, there is a list of things, devices, tools, and other elements that you are going to need for flawless functioning or operation. Appy Pie has brought to you a list of geofencing tools that will help you ease the process and get things done efficiently and in time. 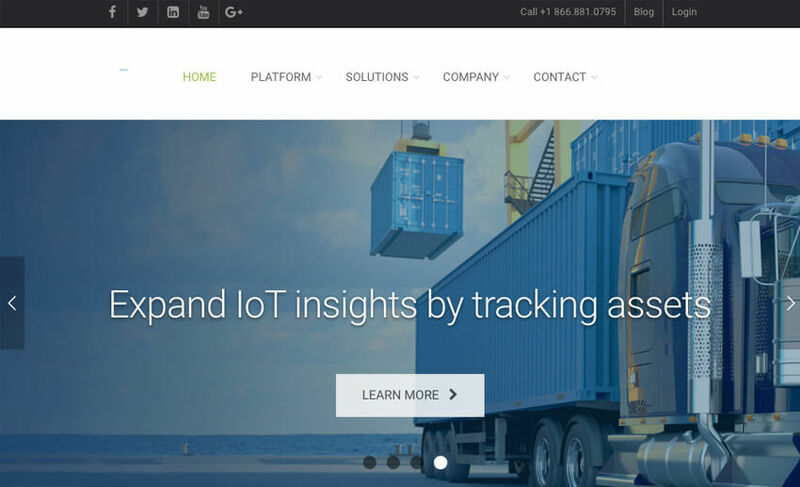 What originally started out as TechnoCom Location Platform, is known today as LocationSmart – location-as-a-service company based in California. After it acquired Locaid in 2015, LocationSmart has further expanded their mobility platform with tools for cloud-based location services. 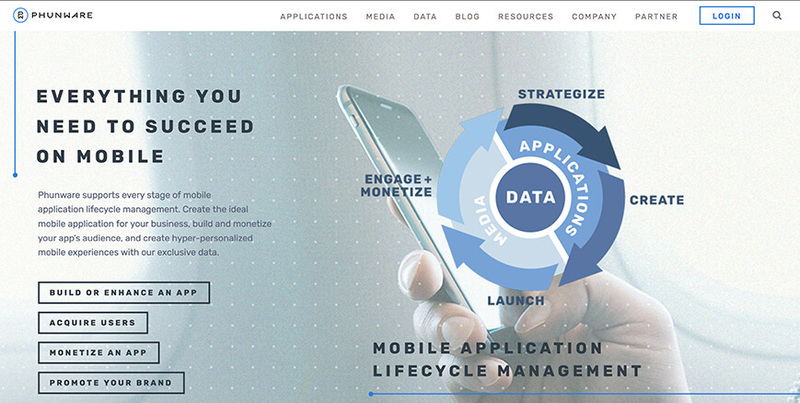 This tool empowers the marketers with an ability to determine the location of the mobile users, engage and establish interaction with users or devices that are the most relevant, and garner data for timely and meaningful analytics. This particular tool has a feature of proximity based marketing promotions that includes quite a few things including geofencing, event triggers, and messaging. This proximity based marketing promotions feature can be used to trigger and boost in-store purchases and motivate the customers to take other actions locally. LocationSmart procures all the location data from carrier networks and devices. Now, every business has some peak hours and other non-peak hours. LocationSmart is known to send just the right kind of offers to the consumers, at the right time, in the right locations, which means that the people who use this tool gain the ability to increase traffic or walk-ins in these non-peak buying hours. LocationSmart has managed to devise a combination of big data from devices and carrier networks to match the right kind of offers with the right kind of targeted customers or users and then send these marketing messages within the pre-determined or geofenced area. They have managed the art of saying the right thing to the right person at the right time. Koupon Media was founded with the mission to help the marketers deliver exceptional value to their customers. Koupon Media is known to deliver offers based on the location of the shoppers. They use a unique combination of location targeting with audience segmentation, and thus have the ability to deliver highly targeted offers to their shoppers. 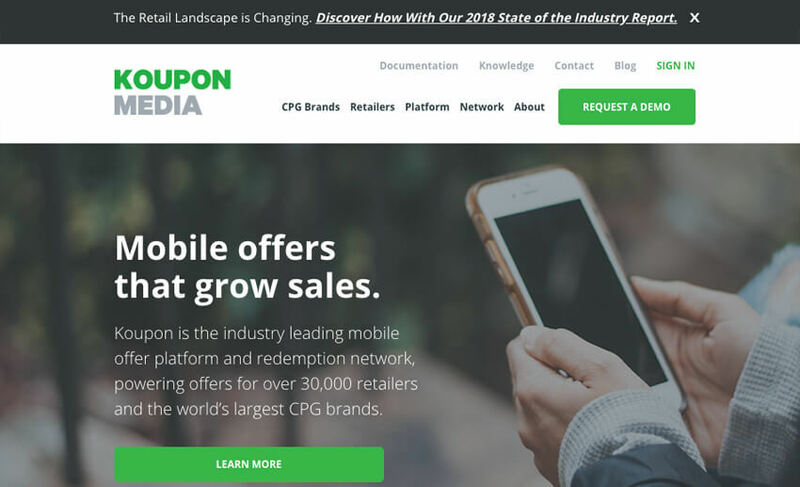 The mobile coupon network established by Koupon Media delivers promotions, deals, and offers to the mobile users when they are in the store. The retailers who sign up with Koupon Media to create geofences or defined virtual areas around their store locations, make use of geotargeting in order to learn the behavioral and shopping patterns of the customers and then send out personalized offers based on audience routines. Additionally, the retailers can also install beacons so that you can deliver real-time offers while consumers are shopping in-store. They also help you devise some conditional offers that are dependent on the shopper viewing the offer or on the basis of their redemption history and this especially comes in handy when you are attempting to initiate an interaction exclusively with the first-time shoppers or visitors. In addition to delivering location-specific ads and messages on the basis of the geofenced area, Koupon Media also offers in-depth targeting that lets the retailers or store owners efficiently narrow the demographics down. This takes targeted marketing to a whole new level, letting you reach out to the people who are interested in buying exactly what you are selling! 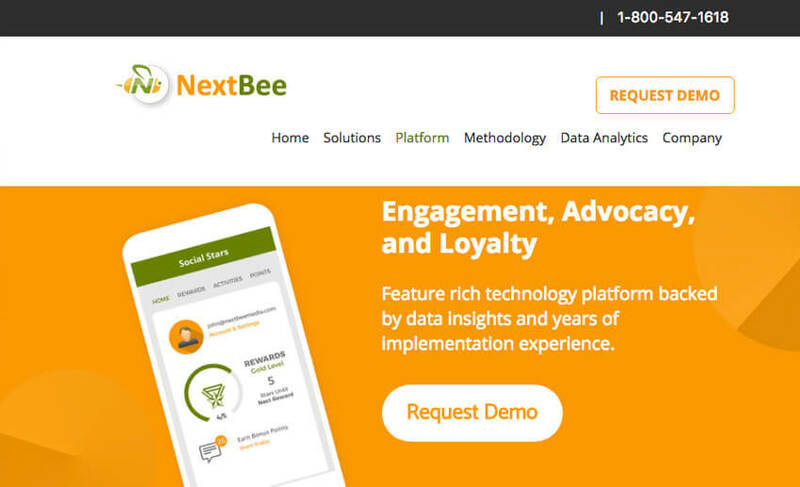 NextBee is one of the leading marketing promotions platforms for businesses that have an audience who are dialed in with the social media and they have been known to work for their clients with an admirably single minded focus on bringing in higher returns with use of geofencing. It is no secret that when targeted rewards are offered to the mobile users on the basis of their device location, it has the potential to attract people visiting the stores or any other places in the vicinity. It is this process that NextBee has managed to automate quite flawlessly by putting to use tools that would send targeted messages and rewards to the consumers based on their location. NextBee leverages its very own, unique PACE methodology, and then automatically registers all those consumers who are following the company’s social media pages, have subscribed to them, and/or are their existing customers. Now, whenever these registered consumers step into the geofenced location, they immediately receive rewards in the form of shareable mobile coupons among various other types of targeted notifications. It is through this methodology that NextBee’s clients can test numerous ideas at multiple store locations, send out personalized messages to their users, and attract the right kind of consumers. NextBee has mastered the concept of offering apt location based rewards to paying consumers. This means that whenever any of your followers on the social media or your subscribers are in the area that you have meticulously geofenced, they would automatically receive a message that would offer them a limited time deal or a special offer on one of your products or services. Not only do they get a brilliant deal, but they are conveniently right around the corner from you! What’s going to stop them from stepping in to your place of business? 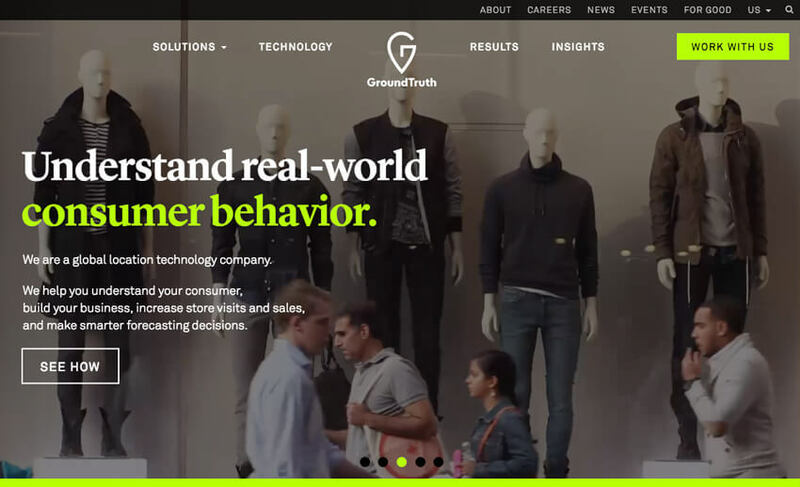 One of the leading global local technology company GroundTruth is more of a conventional tool used in geofencing. They lay a strong emphasis on location based technology and have established themselves as the pioneers in the field. They view geofencing as the perfect antidote to presumptive marketing. Marketers or organizations who are using this platform can identify and inspire the consumers based on their real time geographical location. It all begins with GroundTruth receiving location data through mobile apps and then ranking data signals for location-verified mobile inventory. Next, it auto-generates geo-boundaries around some of the key places including places like a parking garage, a store, or a particular block in the city. It all then comes together to forge a proximity targeting solution which a marketer can leverage in order to remind consumers about any purchases that they would need to make. This would not only remind the consumers about buying coffee before leaving the store parking lot but also encourage more of impulse purchases while they are waiting at the till. The proximity targeting platforms are pretty versatile and can be leveraged in more ways than one to add on to other methods of advertising adopted by the marketer. The idea behind it is that if the people are already in or around your store, you can steer them gently towards making purchases that they don’t even know that they want to make. 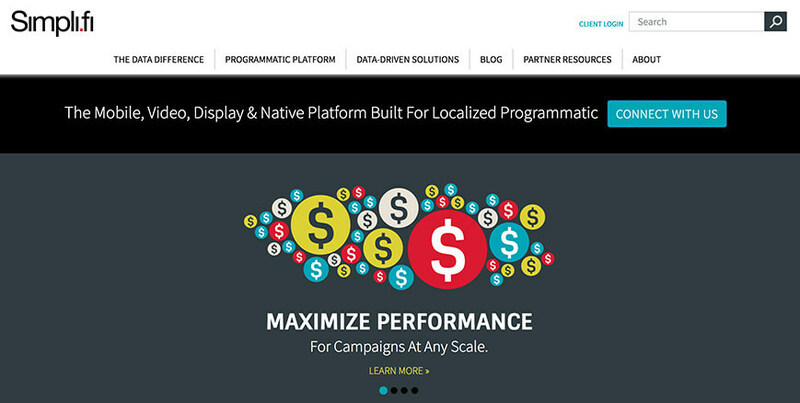 An omni-channel marketing platform, NinthDecimal is credited with powering real-world conversions for reputable organizations. It is by using location intelligence that the company identifies the best customers and prospects for the brand and then activates apt marketing strategies to boost visits to the store and increase the revenue. At the end of this they would quantify the impact of advertising across all the media they have adopted. 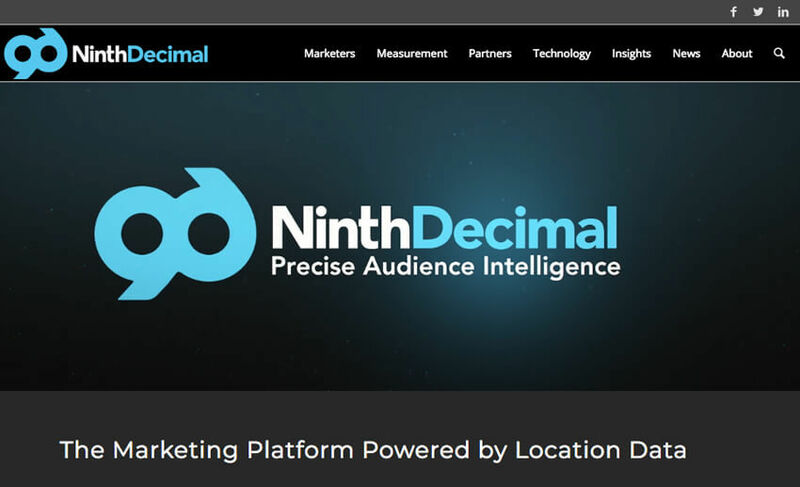 NinthDecimal is an extremely accurate intelligence platform that lets the marketers get an evolved understanding of the virtual (digital) and physical lives of their consumers. 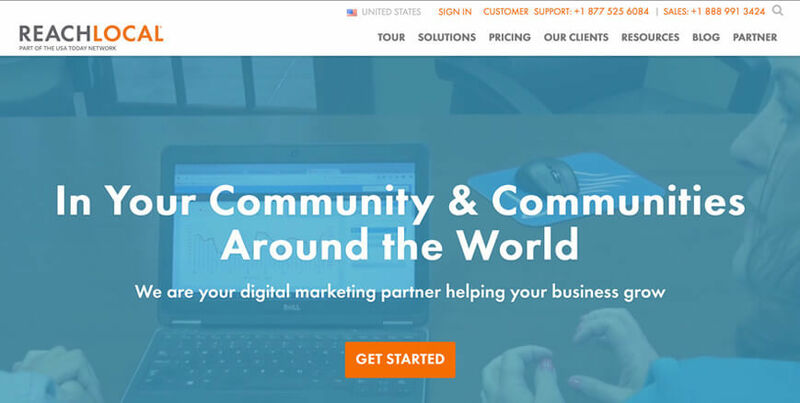 They have an SMB or franchise platform that also offers a mobile website that can be customized along with a geofenced area to let the marketers send out ads to their consumers. One of their solutions named Compass Location offers to the marketers a means for the brands to target the consumers who are near their stores or are at the location of their competitor with rich media ads. NinthDecimal themselves claim that their platform can be used to push local leads using phone calls, appointment requests, and couponing. It even has a walking and driving directions feature that would let the brand or the retailers give the mobile users directions to their nearest outlet in real time. With NinthDecimal you can actually target prospective customers by sending them some great offers even though they are at your competitor’s store! Talk about stealing them from right under their noses or from within their own cash tills.